Libertarian presidential candidate Gary Johnson speaks to supporters at his election night party Tuesday, Nov. 8, 2016 in Albuquerque, N.M. 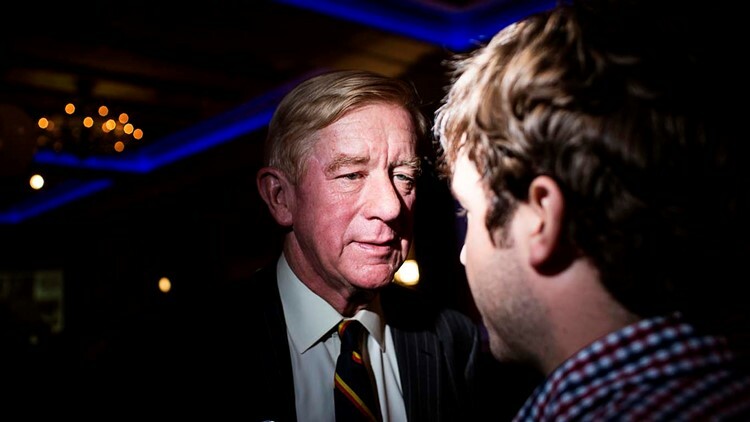 The former Massachusetts governor was also the 2016 Libertarian vice presidential nominee. The Republican National Committee in January issued a nonbinding resolution to declare the party's undivided support for Trump.